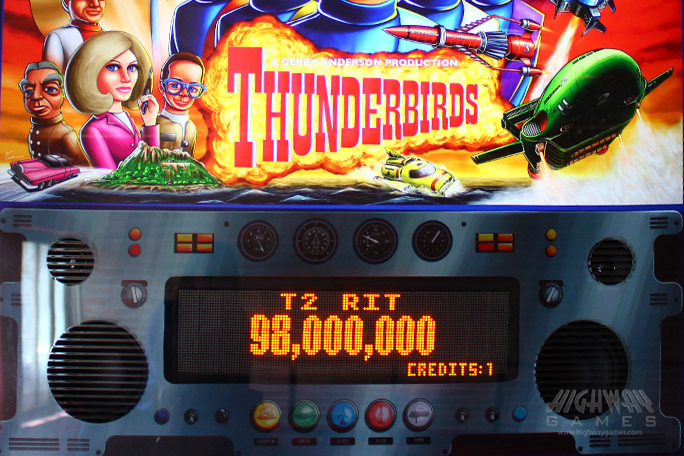 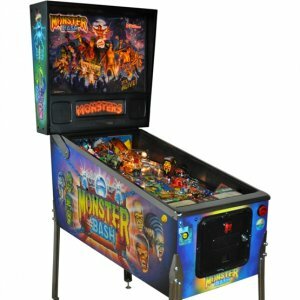 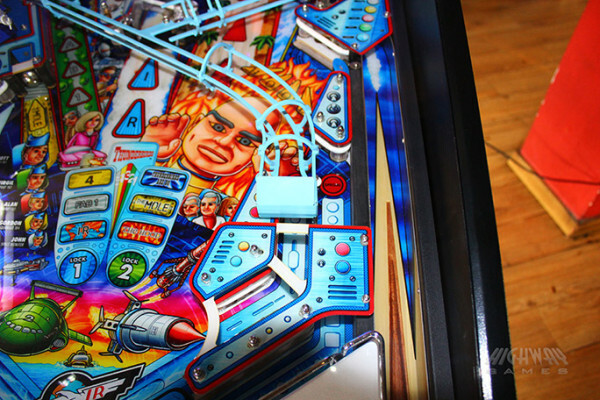 Thunderbirds pinball machine for sale from official UK distributor Pinball Heaven. 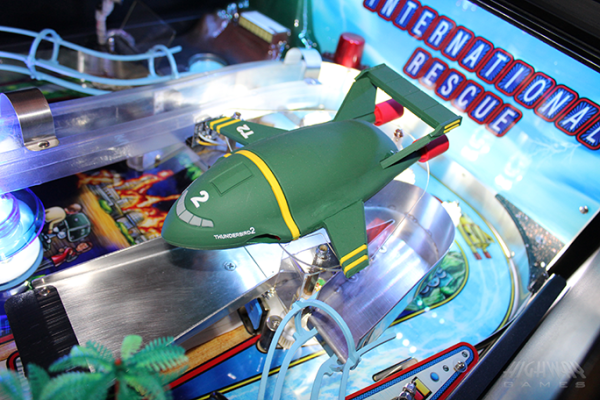 Fully Licenced ThunderBirds Themed cabinet with eye catching graphics featuring all the action of the International Rescue Team and their vehicles. LED Dot Matrix Display. 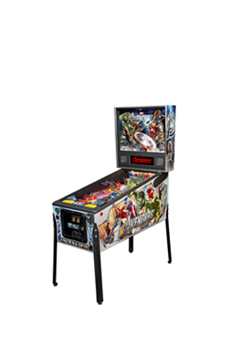 This cabinet comes with Homepins Legendary Bulletproof Electronics and an easy to understand ruleset. 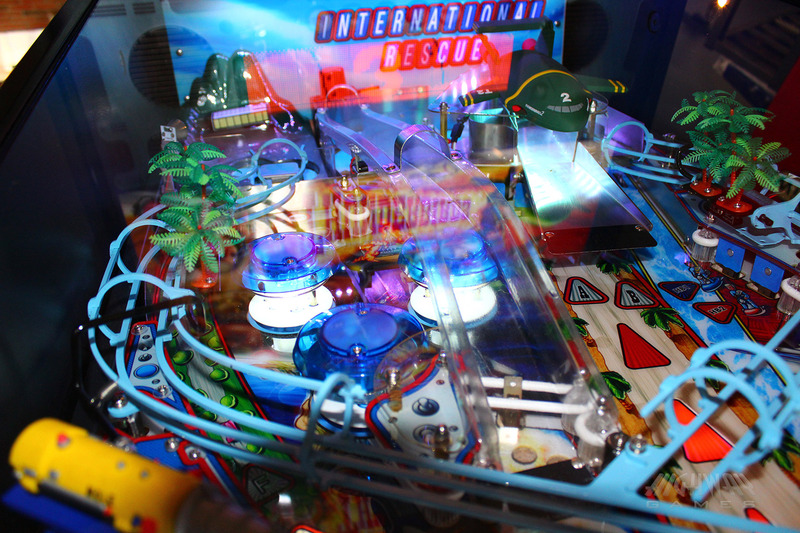 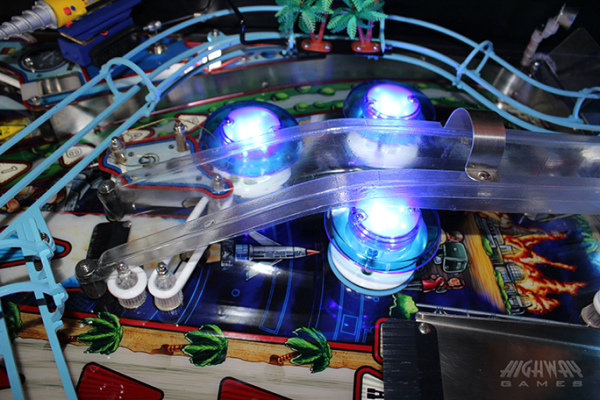 Real mechanical pinball action, with multi-ball functionality and a single level play-field with ramps and subways combined with illuminated flipper buttons to maximise player experience. 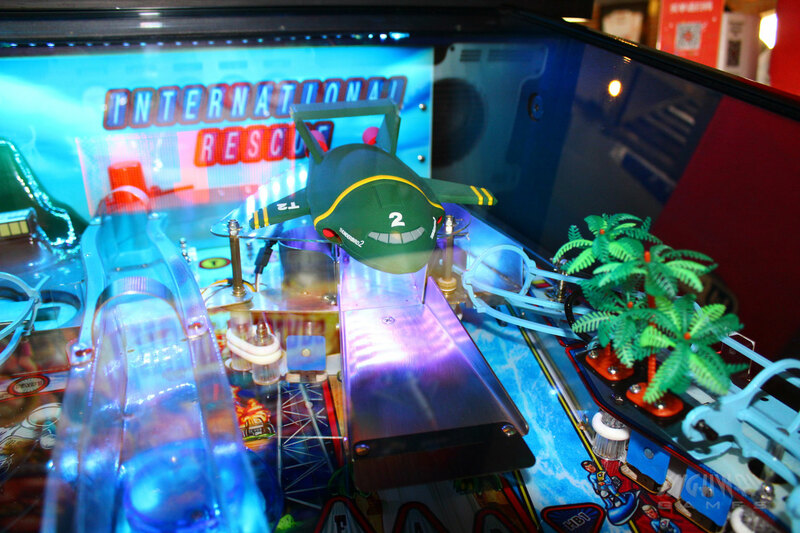 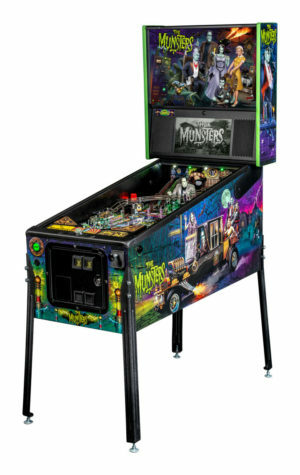 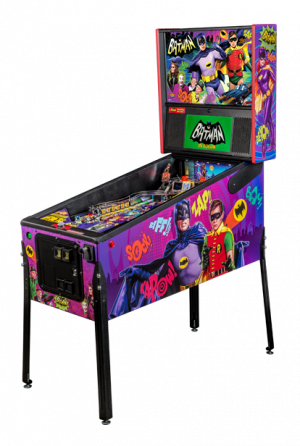 With the ultimate aim of defeating International Rescues nemisis The Hood, the multi-game play of this machine makes it suitable for both novice and experienced players alike. 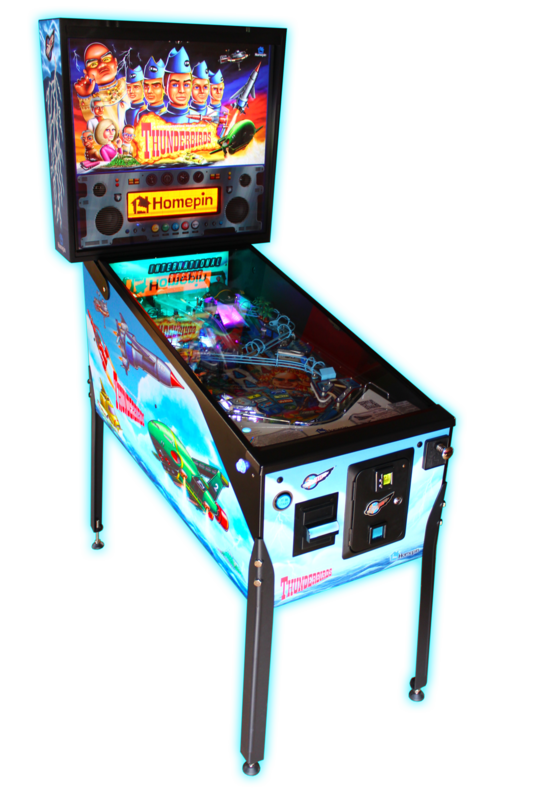 The Playfield includes Tracy Island with its retracting swimming pool and palm trees; just like in the classic 1960s thunderbirds tv series. Creating a retro look and feel combined with some modern twists. 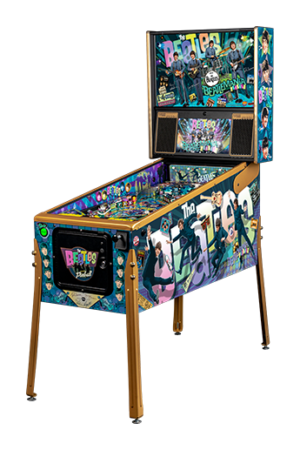 Featuring the worlds first pinball to include electroluminescent (E.L) headbox decals.